Richard Young Gallery is dedicated to exhibiting innovative, contemporary fine art photography. 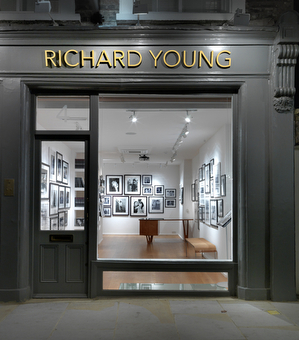 Founded in 2008 by Susan and Richard Young and located in the heart of Kensington, the Richard Young Gallery has quickly become the foremost contemporary photography gallery in West London. Exhibiting 5 exhibitions per year, the gallery’s exhibition programme focuses purely on contemporary photographic-based work, by emerging to established British and International photographers, who push boundaries and think ‘outside the box’. Richard Young Gallery offers an Art Consultancy service specializing in curating projects in unusual spaces including shops, hotels, commercial spaces and private homes. We work with you to find the perfect artwork for your space and budget. If desired, we are able offer a unique, tailor-made proposal that includes mock-ups of your space, visually demonstrating how the photographs you select will look on the walls.